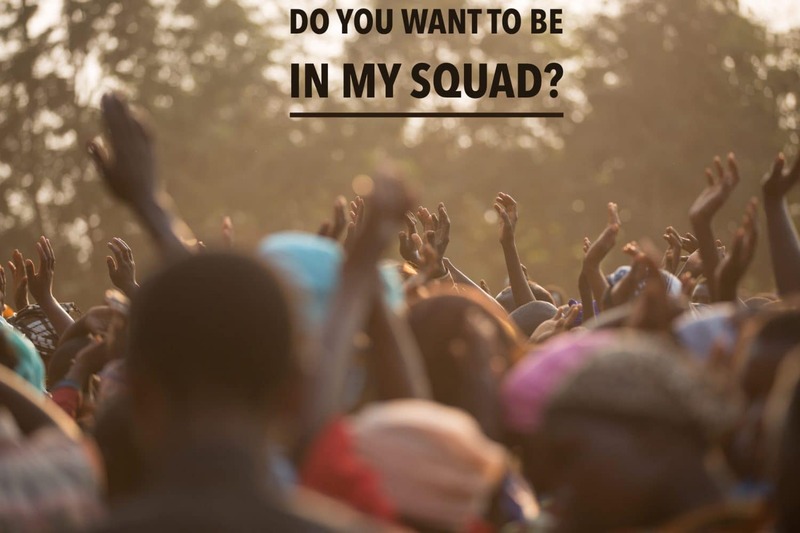 Copywriting skills – you want to be in my squad? Squad has had something of a reinvention as a word – back in the day, if you made it to the England squad, you were part of the selected 22, but if you were Ray Clemence or Peter Shilton, you wanted to be in the team, not just the squad. Squad though has acquired street kudos, cemented by Lil Wayne and other rappers using the term freely with film titles like “Suicide Squad” enhancing its status further. Get Pro Copy is currently a one man band, me, juggling blogs, exam marking, exam setting, email copywriting and it’s getting to the point where I need to create a squad. I have a vision, you see, that Get Pro Copy will become a collective, a squad of freelance copywriters, where niche specialisms can be capitalised upon. Further example: a business asks for a series of blog posts – one per week – for 3 months on property. Yes I can do that. But another want a series on cycling publications – I pass this over to Jerry. They all begin with J, my collective squad members. Now what I don’t want to do is exploit members of Get Pro Copy, as I was exploited when I started. Example I spent three days writing 10 extended blog posts and earned just £77 from this massive marketing company. What I’m after then is squad members who possess copywriting skills that will benefit a company in terms of content marketing and SEO. You need these copywriting skills to be in my squad – have you got them? An eye for detail. This is key. It’s the ability to quickly interpret a brief and assimilate ideas. An eye for detail is the first of 10 copywriting skills you need. Research skills. You need to be able to locate information quickly, interpret different ideas and come up with a slant that matches the company’s ethos. Proficiency in English. You really do need to have high quality reading and writing skills, in English. I need to be able to distribute tasks and trust the outcome will be error-free and impart value in what you say and how you say it. Top notch spelling and grammatical proficiency. You must be able to proofread your own work to eliminate all spelling, grammatical and typing errors – as well as others, if the task demands it as one of the key copywriting skills. I won’t set a test, had my fill of them as a teacher, and won’t ask you to do a free blog for me. That’s downright exploitative. You contact me, we chat, a squad decision is made. Flexibility. I’m 51, with gout, so physically not that flexible, but my work patterns are. Are yours? Could you devote time, when needed, to see your portfolio and the Get Pro Copy collective grow? Could you work to tight deadlines and not compromise quality of output with excellent copywriting skills? Quick to respond. How quickly would you respond to a task, a request for changes, amendments? “On time every time” is part of the Get Pro Copy mantra – could you support this commitment to speed? No cherrypickers. I hate it, really hate it, when someone asks you to do a complex blog and indicates that they can’t do it or don’t fancy it. Copywriters are not cherrypickers – if blogs are required on dentures, dogs and Denmark, would you pick one over an other? That’s where the collective idea comes in. A client is quoted a price for copy, you are paid in full by me when the invoice is actioned by the client. We quote £100 for an extended article, an exam paper, a series of emails, you receive £100. No smoke and mirrors, no siphoning off by me, no fleecing. A client wants an email copywriting campaign from us? Are you up for it? Trust. Small word, massive ideal. I send NDAs to clients for signing and they send them to me. We don’t double dip and get Google penalties for ghostwritten articles – a company pays Get Pro Copy, the collective delivers and ownership and copyright is passed over. Trust me, trust Get Pro Copy. Social media skills. It’s no good saying I don’t get Twitter, Pinterest or LinkedIn. I can coach you on social media if you are uncertain about any platforms, just as others have coached and mentored me. What you must have though, to be in my copywriting squad, is a commitment to social media and a commitment to learn about it. If you’re asked to write evergreen tweets for a company, you must understand Twitter, ergo LinkedIn Pulse publications. Good sense of humour. At the risk of sounding like a dating agency, writing should be a joy, a laugh, a dream job. If you see it as a chore, a humourless sterile task, steer clear – a good sense of humour is needed. This is not so you can laugh off idiosyncracies. Smirk when you see idiots running the show – I’m not one and that’s why I’m self employed. A sense of humour is needed to have that spark in your writing to make it stand out from the vanilla white noise of the internet. Want to be in my copywriting squad? Ready to be on standby for team action? I’m like that you see: an all round good egg. Even says so on my Twitter profile – so it must be true. What really is the best time to post on social media? I possess all these skills and i’m up for it.